In southern France, 35 nations are collaborating to build the world’s largest tokamak, a magnetic fusion device that has been designed to prove the feasibility of fusion as a large-scale and carbon-free source of energy based on the same principle that powers our Sun and stars. 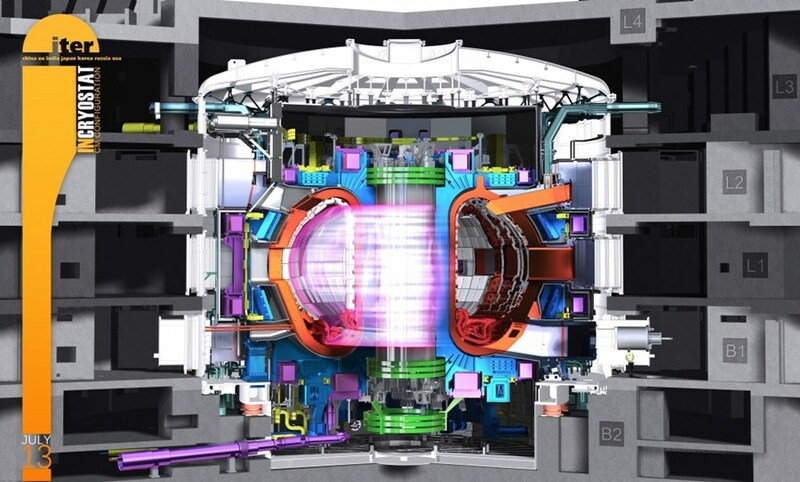 The experimental campaign that will be carried out at ITER is crucial to advancing fusion science and preparing the way for the fusion power plants of tomorrow. Cocoon has been commissioned to preserve the Cryostats: two cylinders of the tokamak, the largest nuclear fusion device on earth. (Have a closer look at the Cryostats: click here) These components have already been completed, but are scheduled to be installed in another five years and measure a diameter of 30 meters, a height of 12 meters and a weight of 800 tons. Using our unique mothballing system we can guarantee a rustproof conservation of these huge spare parts. Cocoon goes big.. we will be working with ITER!